He was brought up in Lambley village, Nottinghamshire. In his younger days he was a Choir Boy at Lambley Holy Trinity Church. Later he settled in Calverton village where for over fifty years he was a well-liked Chimney Sweep. But, it wasn't for sweeping peoples chimneys that he will be remembered with great esteem!! Vic was the first winner of the prestigious Hucknall Open Pool tournament. 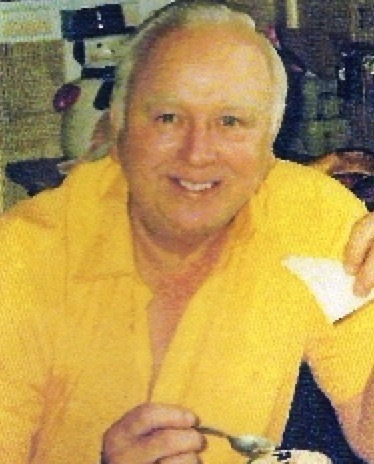 He played in and was Chairman and Treasurer of the Pool league for many years throughout the 1970s, 80s and 90s, winning so many individual and team titles that there isn't enough room on this page to list them all! He was always a great ambassador, not only for the Calverton and Arnold League, but also pool in general across Nottinghamshire. Vic was a revered gentleman and was respected greatly by everyone who met him. We played alongside the great man in the "FANTASTIC" Calverton Miners Welfare side of the early 1980's - the team that trounced everyone in Nottinghamshire and other places in England. Opposing teams used to hate it when Vic walked into their pubs for a match, but we loved it because WE had the best player in the league!! I'd compare it to the treatment Real Madrid's Cristiano Ronaldo gets now from away supporters. We can categorically state here and now that Vic was the best "match player" we ever played with, nothing seemed to phase the man and boy did he get some abuse!! In fact Vic was so good that the rules of the game of UK 8 Ball Pool were changed to get him beat!! Yet in 1998 he still won the Averages title, at the ripe old age of 64, a record that will probably never be beaten. Vic Leaper died on Wednesday 7th January 2009. Unbelievably, at his funeral, one young man turned up dressed as a "Water Babies" type Chimney Sweep, covered from head-to-toe in soot. Now that is respect! Vic Leaper, the man will never be forgotten by loads of people who knew him. Thanks Vic! 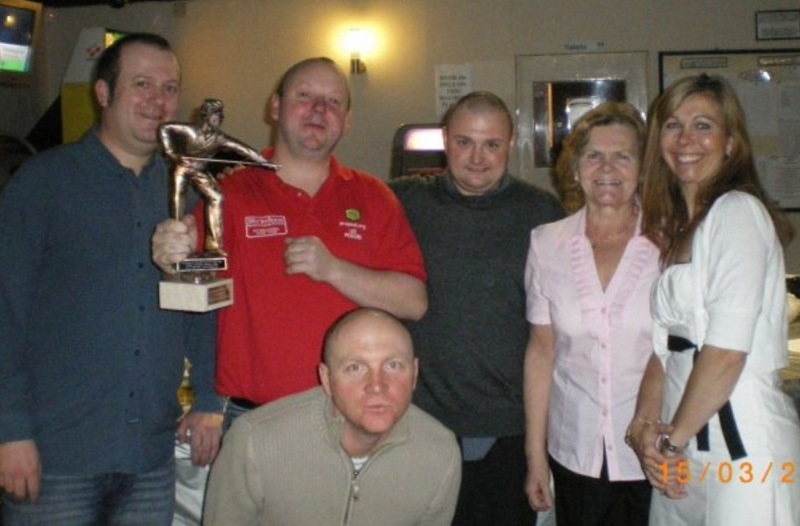 Lee Pickard became the first winner of the Vic Leaper Legends Tournament, after battling through one of the toughest line-ups seen at a Nottingham pool competition in years. In round two, McMahon scraped home 6-5 again, against England Youth player Ashley Radford. Howitt cruised to a comfortable 6-3 win against Liam Stanley and Pickard continued his fine form, knocking out Ron Sharpe 6-1. Hucknall potting machine Simon Thompson had an impressive 6-1 win against Andy Bingham while Pickard defeated Matt Coates 6-4. A nervous-looking Tom Barker took out Neil Jones 6-4, but the tie of the round saw John McMahon recover from a 4-0 deficit, to lead 5-4 against Lee Howitt. Howitt levelled, then calmly cleared up in the decider to take his semi-final place. Howitt faced Thompson, and Pickard drew Barker, but the two Lees strolled to 6-2 wins. The final saw Pickard race to an early 3-1 lead, but Howitt struck back to level at 4-4. Howitt then missed a pot on the black to take the title 7-5, letting in Pickard, who sank a tough black to force the decider.